Flat, cat's tongue concealer brush. 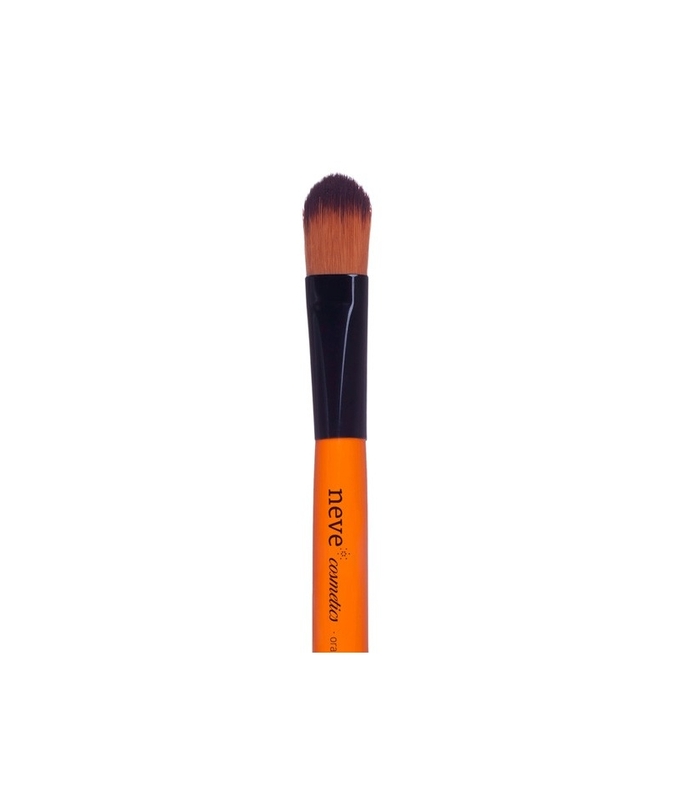 Flat cat's tongue concealer brush. The bristles are especially straight and compact and guarantee good results even with the most dense and creamy concealers. 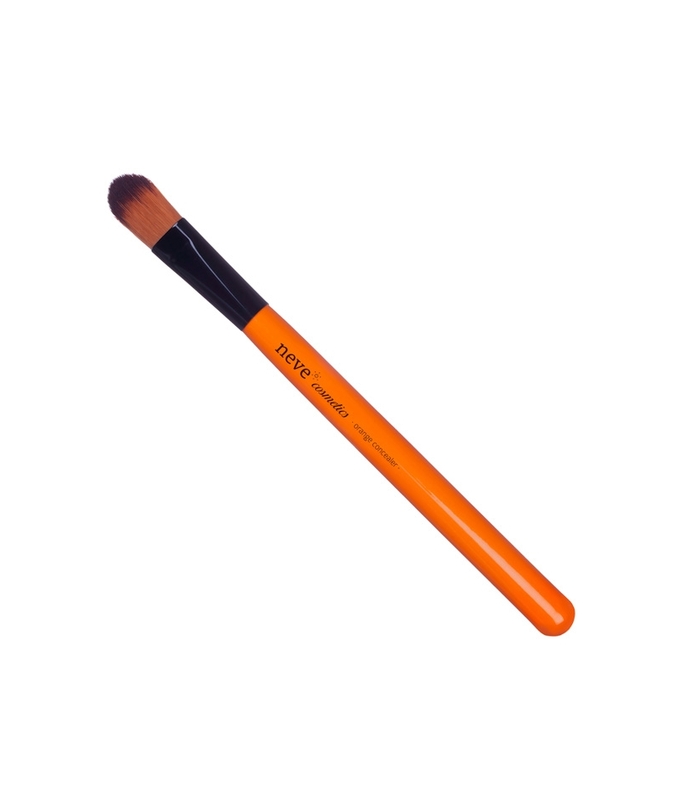 Intense orange, varnished wooden handle with a shiny finish, shiny black, polished metal ferrule, bristles made from cruelty-free synthetic fibre. Max. hair width at the base: 1,50 cm.